As I sit here stewing in 30 degree weather, wearing shorts and a t-shirt, my mind can’t help but think about the frozen ice and wool socks that go along with Canada’s favourite sport. Yes, playoff hockey is STILL going on, and today we at the Same Page (mainly, me) present our preview for the penultimate round of the NHL playoffs. Place your bets accordingly. Chicago made it exciting, and whereas I predicted them to drop the Red Wings in 6 games, it took 7 (and a little more, as Wednesday’s thriller went into overtime) but the Hawks did manage to make it through to the third round. No real surprises here; the Hawks continue to rely on outstanding goaltending from Corey Crawford, and a deep set of forwards that can all do their part offensively and on the back check. 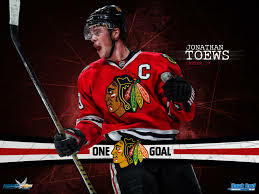 Jonathan Toews, with only 6 points so far, will have to step up his play in order for the Hawks to get past the Kings. One Goal…and five assists. Step it up, Johnny. The Los Angeles Kings can’t get no love around here. I had them falling to St. Louis and San Jose, but in both rounds the Kings showed why they are the defending champions. They rode the Jonathan Quick ship to another win, and can definitely challenge the Blackhawks for the Western title. Quick has probably been the playoffs’ best goaltender, and will have to stay hot to give the Kings a chance. Jonathan Quick keeps his eyes on the prize. Pittsburgh continues to roll. Tomas Vokoun has stepped into Marc-Andre Fleury’s shoes with no trouble at all, and has given the Penguins the insurance they need to play a more attacking style. Case in point: Kris Letang, the Penguins’ top defenceman, also shares the team lead in points with Evgeni Malkin (16). As if having this group of forwards wasn’t enough, Letang adds a scoring threat from the blue line and manages the power play expertly. Everyone knew Crosby and Malkin would score tons, but Letang and Jarome Iginla have added secondary scoring threats that no one expected. If that continues, it will be tough to slow the Penguins down. 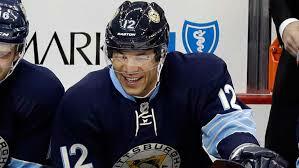 Jarome Iginla is enjoying life with a playoff contender. Boston, fire-tempered after a grueling series with our Toronto Maple Leafs, rolled past the Rangers with little trouble. David Krejci is a huge reason why. He leads the NHL in playoff points with 17, and if you want to talk about teams with deep groups of forwards, the discussion must include the Bruins. One big surprise has been how well Boston’s replacement defencemen have played. After losing Dennis Seidenberg and Wade Redden to injury early on, the Bruins have called up Dougie Hamilton and Torey Krug (who? ), and both have played respectably, with Krug even chipping in 5 points in 5 games. Sometimes, in the playoffs, you need a role players to step up, and Boston’s role players have done so. Of the 4 remaining goaltenders, Tuukka Rask carries the worst stats (2.22 GAA, .928 Save Percentage), and that may make the difference against the Penguins. 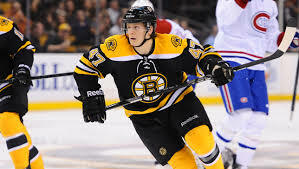 Who is Torey Krug? Will we remember him in 6 months? Enjoy the semi-finals. I’ll be back with one more prediction for the Stanley Cup Finals, sometime around Canada Day. pretty pedestrian. you guys are usually a lot better than this, what gives? I just felt like I would be repeating myself after two previous rounds analyzing the same teams.